Congrats to Mike Conway, who will be moving on with just 51% of the vote. How is the U.S. Voting? 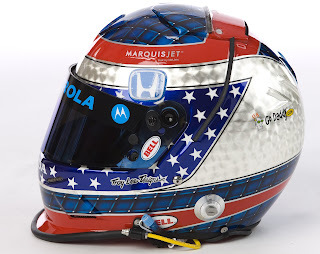 I'm repeating myself I know... but IMO, fans are voting for their favorite DRIVER & not the DESIGN!!! Danica should be getting blown out. She has about 4 different themes going on her helmet livery. 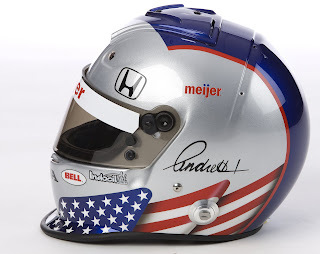 Part metal texture, part USA Stars, part Fittipaldi's grid texture, & just lumpy top red stripe. I'm surprised Troy Lee would put his logo on this artistic disaster!! !